Packing dance floors with guests of all ages, creating unique and special moments for our couples...that's why we do this! 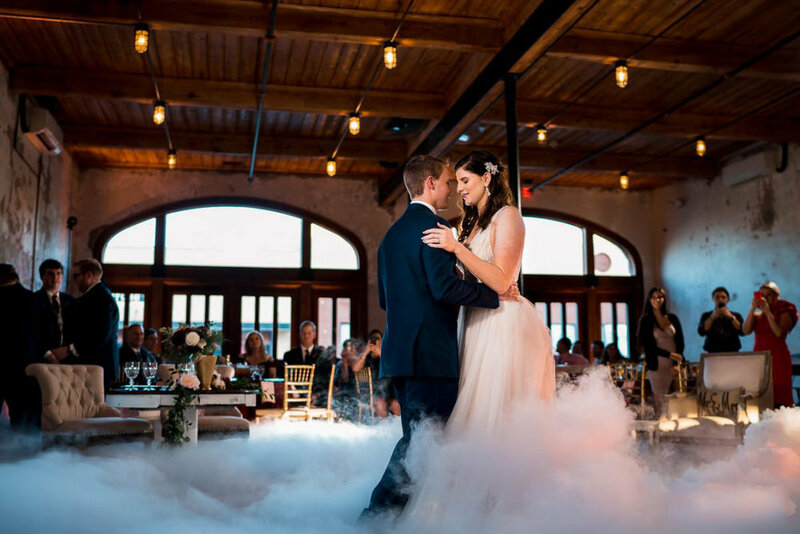 Every couple we work with has a vision for their wedding and we help bring those dreams to life, so each wedding celebration is truly custom-tailored to them, down to every single detail. We realize how important your wedding is and we take great lengths to ensure a stress-free wedding day experience. From our easy to use online wedding planner to our in-person meetings, we will cover every detail weeks before the wedding. 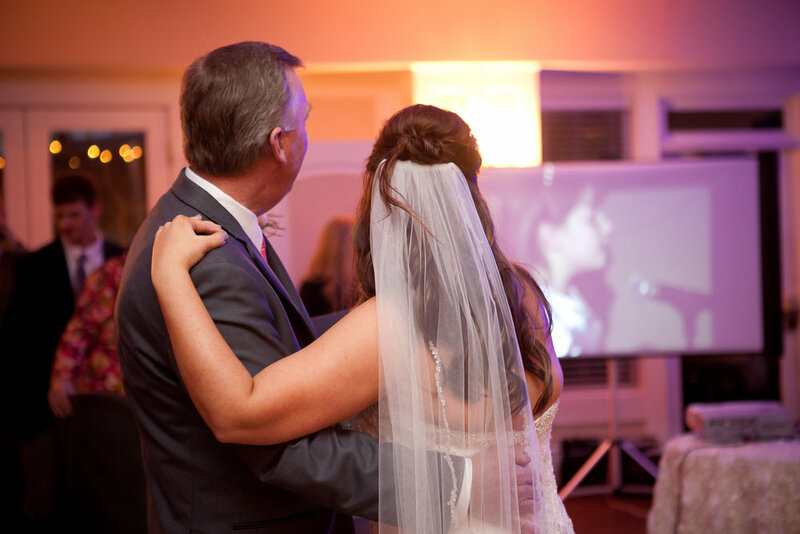 Our experienced team of entertainment professionals will help you celebrate your wedding using our modern style and approach without resorting to cheesy, uncomfortable, outdated DJ techniques. Our newest offering for the couple that is dying to celebrate in ultimate style. 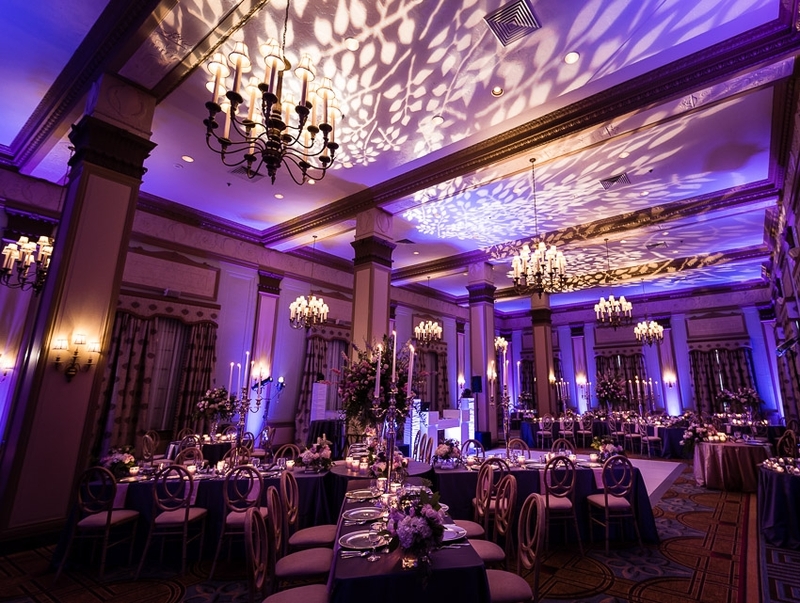 A perfect blend of technology and wedding elegance come together to form the ultimate in wedding entertainment. *Overtime is available for all DJ packages. Our overtime rate is $300/hour. If you want to ensure a certain DJ, it is a flat rate of $500. This BRAND NEW photo booth option features multiple experiences in order to engage guests in multiple uses. It features Boomerang, Fun Filters (like SnapChat), GIFs, Magic Backgrounds, and more! The software also provides a digital sharing platform that includes a gallery with the abilities to easily share your creations via social media with ease. Not only can we logo/brand the Welcome Screen, we can also give this booth the full custom treatment with a full vinyl wrap to match any event. You truly have to see it to believe it! Take your monogram light to the next level with full illustration. We can use your existing monogram design or help design one from scratch! Need music for your wedding ceremony too? Look no further! We can take care of that too. Always dreamed on snow on your wedding day? We have you covered. Great for First Dances and even Grand Exits! Not only can we have the white stuff falling from the sky, your guests will also receive biodegradable Toss Snow! From Slideshows, to Custom Video Monograms, and even Music Videos our hi-res screens are a great addition to many types of events. We offer some winter discounts available January and February and for weekday weddings throughout the year. We love celebrating with couples on their special day, so if one of the packages above doesn't fit your needs or budget, please contact us.